Individuals volunteer to donate a kidney for a variety of reasons. Oftentimes donors are motivated by watching someone close to them wait a long time for a transplant or seeing a loved one suffer in some way as a result of kidney problems. Selfbenefit from recipient’s improved health. Offering to donate a kidney because of feeling pressure from others (e.g., family members), perhaps because the situation seems urgent, or it appears that the ill person has no other options. Offering to donate because of feelings of guilt, or feeling that it is your duty as a close relative/ friend. Offering to donate to “right” past wrongs, to feel good about yourself, or to feel closer to the person to whom you are donating. 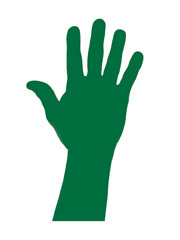 Most people have a number of reasons for donating, and it is normal for different issues to come up when you are thinking about becoming a donor. It is important that these are discussed openly during your donor work-up, and this discussion forms part of your meeting with the team, particularly the psychologist. Direct personal communication is the key to making sure the process of assessment for living kidney donation goes smoothly. This is true both for donors and for recipients. If you want to be considered as a potential kidney donor, for a friend or family member, you will need to make direct contact with the kidney Transplant Office at Beaumont Hospital and ask to speak with one of the kidney Transplant Co-ordinators. Phone number is 01-852 8397. It is important to be aware that we will not commence the evaluation of a potential living donor until the recipient has been evaluated by the transplant team. This means that a potential recipient must be suitable for transplant and must be on the active waiting pool for a deceased donor kidney. It is important to discuss your wish to donate a kidney with the potential recipient, since we can not evaluate a potential donor until we have the consent of the recipient to do so. WHAT MAKES A SUITABLE LIVING DONOR? Before the medical staff can agree to anyone becoming a living donor, they must be satisfied that the donated kidney is unlikely to be rejected by the recipient’s body. They also need to ensure that the person, willing to be a donor, is unlikely to suffer ill health as a result of making the donation. 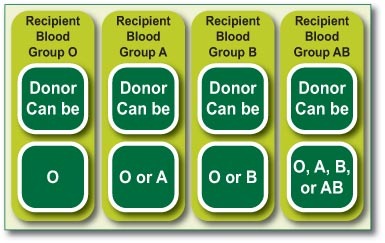 In general, a suitable match of blood groups, as shown, is necessary before any further assessment can be considered. Since family members have many different blood groups, it may not be possible for some family members to give a kidney. It is possible, under certain circumstances to overcome these blood group rules for recipients who do not have an alternative donor. Once blood group compatibility has been confirmed, the donor has to be tested for tissue compatibility. The tissue type of the donor and recipient will be determined in the transplant laboratory by way of a blood test. This process may take up to six weeks. In general, the better the match between the recipient and the donor the better the long-term success of kidney transplantation. You are tested for HLA antigens on up to 12 different markers, which can have thousands of different combinations. A donor recipient pair that has matches on each of these 12 markers has a so-called ‘full house match’, sometimes called ‘zero mismatch’. Donor recipient matching is important because a better match often results in better success of this transplant, and because poor matching can make kidney transplantation, a second or third time, a lot more difficult. A lot more goes into the success of kidney transplantation than just tissue matching. The long-term success of a kidney transplant can be excellent, even when the donor and recipient tissue-match is less than perfect. 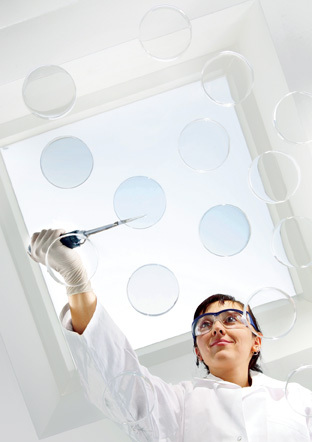 Tests to check the donor for viruses are completed quite early in the assessment process. A potential donor’s blood is examined for the presence of previous exposure to certain viruses, such as Hepatitis B & C, HIV and Cytomegalovirus (CMV). With the exception of CMV, if these viruses are detected, transplantation cannot normally take place due to the risk of disease transmission. CMV can be transmitted during transplantation. Recipients can be affected with — from mild flu-like symptoms to serious pneumonia — but usually modern anti-viral drugs can help combat it. Donors need to be fit enough to undergo the operation. They need to be capable of living normally with just one kidney. They must be in excellent physical health. Their medical history needs to be relatively “clear” or uneventful. They must be relatively free of pressure to donate as well as having a positive relationship with the potential recipient. They must have some positive coping skills and supportive relationships. They must be relatively free of current emotional distress or disturbance. They must demonstrate a clear and realistic understanding of what is involved in living kidney donation. If tests show evidence of poor kidney function or, if investigations show the possibility of the donor being medically unsuitable, the offer of a donation may be declined. The team recognises that this can be difficult news for those who are motivated to donate a kidney to a loved one.